...then you've probably picked up a few cookies along the way. They are created by websites and sit in your browser until they expire. Some cookies are harmless, but others remain active even on websites that they didn't originate from, gathering information about your behavior and what you click on. These are called third-party persistent cookies or, more colloquially, tracking cookies. Tracking cookies can be so invasive that many antivirus programs classify them as spyware. Despite their bad reputation, they have become so ubiquitous that it's nearly impossible to avoid them. In this article, we'll go into detail and explain how tracking cookies record your web activity, why they're so popular, and how to stop them. Whenever you go into your browser settings and clear your cookies, you're deleting the persistent cookies. The most basic type of cookie is a session cookie. Session cookies only exist in temporary memory and are deleted when you close the browser. Any cookie created without an expiration date is automatically a session cookie. A common uses for session cookies include remembering what's in your shopping cart on an ecommerce site (although most modern ecommerce sites now store this info in a database on their servers). Persistent cookies are written onto your device's memory and come with an expiration date. They are only used by the website that created them, and can last however long the website dictates. They remain on your device even after you close your web browser. Your web browser uses first-party persistent cookies for many quality-of-life enhancements, like remembering that you're signed in so you don't need to log in every time you visit the same site. Third-party persistent cookies, also known as tracking cookies, are the main focus of this article. Like their first-party brethren, these cookies are stored in your device's memory and have a set expiration date. Unlike the first-party variety, however, third-party persistent cookies are accessed on websites that didn't create them. This allows the cookie's creator to collect and receive data any time the user visits a page with a resource belonging to them. Where do tracking cookies come from? Websites today are rarely made up solely of code and content created by the website owner or administrator. Instead, they use resources from other sites to build and add functionality to their web pages. These resources are often useful and even essential for a website to compete. 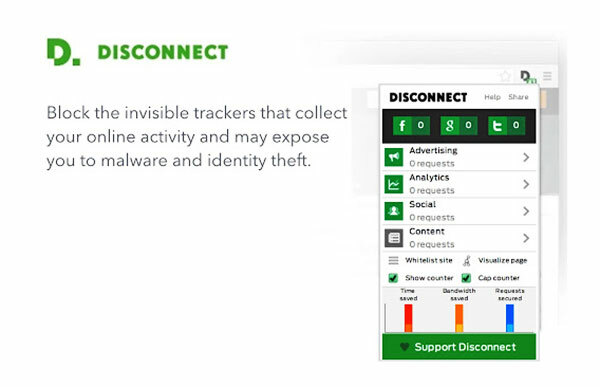 Unfortunately, those same resources are often the biggest perpetrators of online tracking. You don't even need to click on an ad or social media sharing button for a tracking cookie's information about you to be transmitted back to a server owned by the person or company who created it. As soon as you load the page, the cookie is sent to the server where it originated. If no cookie exists yet, the resource can create one. Let's say I write a blog post an include an image that's hosted on another website. The other website can create a cookie or send and existing one to its server, even though I'm not actually on that website; I'm just loading a resource from it. What do tracking cookies know about me? Tracking cookies are usually used for advertising purposes, retargeting in particular. Retargeting is a tactic that often relies on tracking cookies to show ads to people who have previously visited a specific site or shown interest in a particular product. If you've ever bought or even looked at a product on Amazon and then started seeing ads for similar products on other websites, you've been retargeted. You pick up a tracking cookie on your favorite blog or shopping site. That cookie contains a unique ID that doesn't identify you personally, but does identify your web browser. The owner of the shopping site signs up and pays for an advertising platform like Google. Google's ads aren't static; when you visit other websites that use Google ads to make money, the website sees the cookie and sends it to Google through the ad. Google sees the unique ID stored in the cookie and recognizes that it came from your favorite shopping site. Google then shows an ad for the shopping site accordingly. Likewise, other advertisers on Google's ad network can use that cookie, too, if your advertising profile meets their criteria of the target audience. It doesn't only benefit the site where you picked up the cookie. This might seem harmless at first, but those tracking cookies can start racking up a lot of information about how you browse the web. Google's ads are everywhere, and while it's the largest online advertising company in the world, there are many, many others. Because of this, advertising companies can cobble together a history of what websites you visit, in what sequence, and for how long. When cookies are sent back to their servers, they often include information about the previous site that a user visited, called a referrer URL. Browsing history is just the start. search queries, purchases, device information, location, when and where you saw previous advertisements, how many times you've seen an ad, and what links you click on. All of this and more is collected, often without your consent or knowledge. In the UK and EU, websites are required to notify users if they use tracking cookies. In the US and other countries, however, all of this data is hoarded in the background. If you examine the actual contents of a cookie file, none of this is obvious. Cookies only consist of three components: name, value, and attributes. 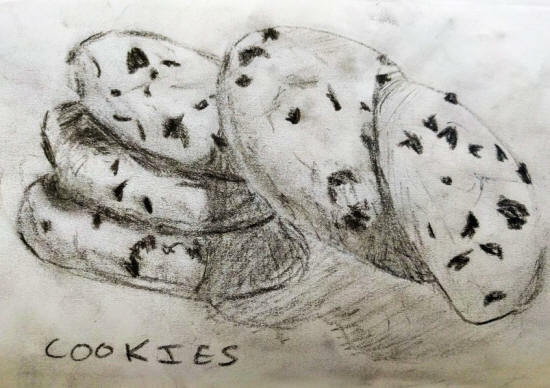 Name is used by websites and advertisers to identify cookies and what they're used for. 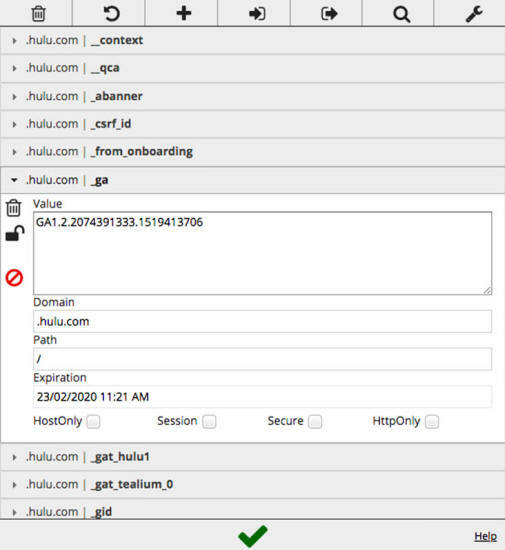 The value component is where your unique advertising ID stored so that the tracker's creator can identify you when you visit other websites. It usually appears as a seemingly random string of numbers and digits, but in some cases it's not random and can contain coded information as laid out above. When the cookie expires. If no expiration date is set, the cookie ends when the browser is closed. Tracking cookies always have expiration dates. If the cookie can be used by other domains. Whether the cookie can be sent over an insecure connection or not. Essentially, it checks for HTTPS. The first step toward preventing tracking cookies from monitoring your behavior is to delete the ones you already have. You can clear you cookies in your browser settings. If you're not sure how, check out this guide on clearing cookies for all the major browsers and operating systems. Your browser doesn't distinguish between persistent cookies that perform useful tasks like keeping you logged into a website from those that invade your privacy and track you around the web. When you clear cookies in your browser, all of them are deleted. Somewhere in your browser settings you'll find an option to toggle on Do Not Track. Enabling this feature will send a request for the website you're currently on to disable its cross-site user tracking of individual users. This includes tracking cookies. While some sites honor your choice to opt out with Do Not Track, many will not. Do Not Track does not add any technical limitations and there's no enforcement from any authority. That means there's no consequences for websites that ignore your opt-out request and use tracking cookies anyway. You should definitely enable Do Not Track in your browser, but you'll need to go a step further if you want to put a halt to tracking cookies. Keeping track of where all the cookies in your browser come from and whether they track you would be a very tedious task. Instead, you can install an anti-tracking browser extension to stymie tracking cookies for you. 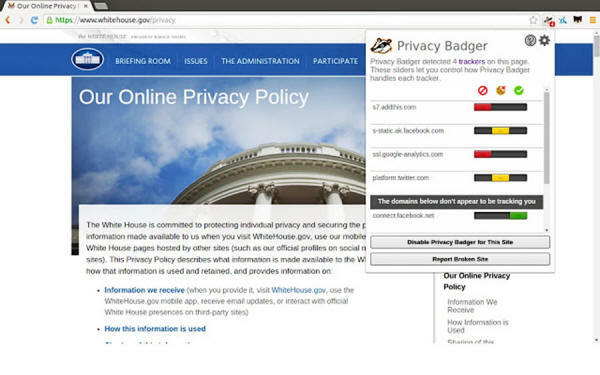 Privacy Badger and Disconnect are two good options. 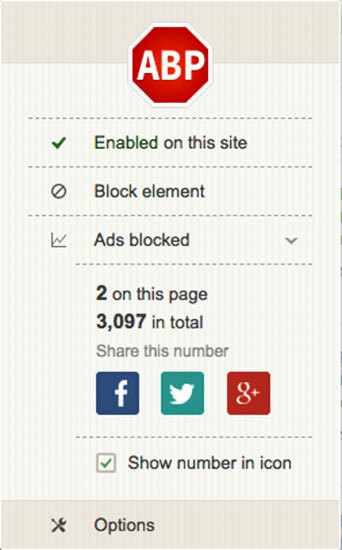 An ad blocker like Adblock Plus can help, too. All of these not only make the web more private, they also speed up page load times by blocking third-party elements. Created, by the Electronic Frontier Foundation, Privacy Badger is a plugin for Firefox and Chrome that automatically blocks advertisers that use tracking cookies from loading any more content in your browser. It does this by keeping track of third-party domains that embed images, scripts, and advertising into pages that you visit. The extension doesn't use a blacklist of known tracking sites. 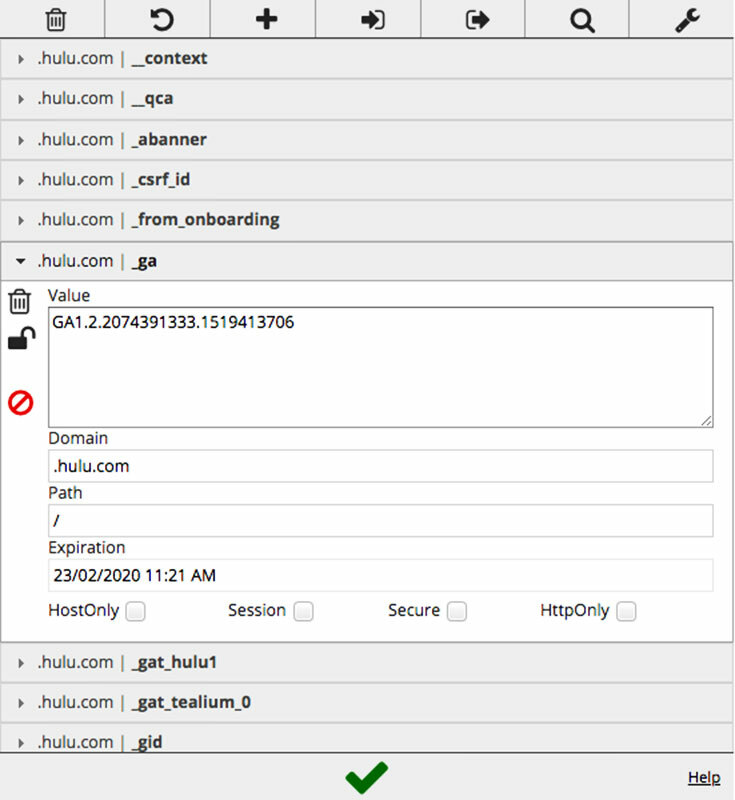 Instead, it observes the behavior of third-party domains on web pages and blocks them if they collect unique identifiers. Privacy Badger also protects against canvas fingerprinting and super cookies, which we'll explain a bit later. Disconnect automatically detects when your browser connects to anything other than the site you are visiting. It then categorizes those requests and blocks them, save for requests that are necessary for the actual content of the site. The user can choose to allow through other categories like analytics, advertising, and social on an as-needed basis, or even allow trackers through individually. Disconnect makes several useful tools for improving privacy and performance, but for the purposes of this article we're mainly concerned with the free private browsing add-on. Adblock Plus, not to be confused with AdBlock, is the most popular ad blocking browser extension on the web. Advertisements are the biggest perpetrators of online tracking, so this plugin can be very effective. Unlike Disconnect and Privacy Badger, Adblock Plus utilizes a blacklist of known domains that serve third-party ads and blocks them accordingly. Ads are just one part of the equation, so I recommend pairing ABP with one of the other extensions. Alternatively, you can add additional blacklists created by the community to block other third-party website elements that use tracking cookies, such as social media widgets. Tracking cookies are not a new technology. They've been in use for over a decade and little has changed as far as the way they work. Despite that, they provide a simple, accurate way to track and record user behavior across the web, and they aren't going away anytime soon. That's not to say tracking cookies are the only way third parties monitor what you do online. Data mongers have several tools at their disposal to stay locked onto you. Even before there were cookies, there were IP addresses. Every device connected to the internet is assigned a unique IP address that allows your device to communicate with other devices. Your public IP address is made up of a string of numbers and decimals. It changes periodically and is associated with your location. If you connect to a different Wi-Fi network, for example, you are assigned a new IP address and your old one is recycled and assigned to someone else. So it's not the most enduring or accurate way to target someone, but it's easy and it works. To avoid being tracked by your IP address, I recommend using a VPN. A VPN encrypts all of the internet traffic on your device and routes it through an intermediary server in a location of your choosing. This masks your real IP address with that of the VPN server, and that IP address is usually shared with dozens, if not hundreds of other users, making it nearly impossible to trace activity back to one individual. A referrer URL is the web address of the previous website where you clicked a link to get to the current website. For example, if you found Privacy.net through a Google search and clicked on a link to this article in the search results, the referrer URL for this page would belong to Google. Referrer URLs can be used for several reasons, and recording your browsing history is one of them. When cookies are sent to the server that created them, they often contain referrer URLs. But referrer URLs don't require a cookie and the same information can be requested from a website via other means. Pixel tags, also called pixel tags, are little segments of code on web pages that check whether you have accessed some content. Web beacon is actually an umbrella term for several similar techniques. Web beacons can be hidden inside content elements of a web page, making them more difficult to prevent. They can be hidden inside images and other page elements to log user behavior and transmit that data back to the website owner. Web beacons are commonly used to check whether someone who received an email actually read it. By embedding a pixel tag in an email, the email must load a resource from a third-party. When this happens, the resource can request the recipient's IP address, timestamp, type of browser, and whether the resource owner already set a cookie in this browser. Like cookies, the server can store all of this information and associate it with the user's unique tracking ID. Browser fingerprinting is an emerging technique that's getting more and more accessible and is notoriously difficult to shake. Even if you connect to a VPN to hide your IP address and block tracking cookies, all of the other information can form a combination so specific that the resulting profile can only plausibly belong to a single person or small group of people. Attempting to alter your browser settings and install more plugins only makes you stand out more. Most tracking cookies can only be used by the domain that created them. Advertising companies are responsible for many domains that serve tracking cookies, each with its own database of user profiles and audience segments used to target you with ads. Save for Google, most of these ad companies aren't prolific enough to be everywhere on the web at once, which leads to gaps in their data. Enter cookie syncing, the practice of combining advertising data sets to create more accurate and comprehensive tracking profiles. Cookie syncing occurs when two advertising companies partner up or acquire one another. This consolidation helps them compete with Google, but also has an adverse effect on users' privacy. Most cookies are tied to specific domains, such as "google.com". Supercookies are associated with top level domains like ".com" and ".org". This allows them to affect requests for cookies from websites that use those top level domains. For example, a supercookie that uses the ".net" top-level domain could disrupt or impersonate requests from Privacy.net. Not only could supercookies be used to track you across the web, they can also be used for malicious purposes like changing user information or forging a login. For these reasons, most modern browsers block supercookies. They're worth mentioning but probably aren't much of a threat to you.